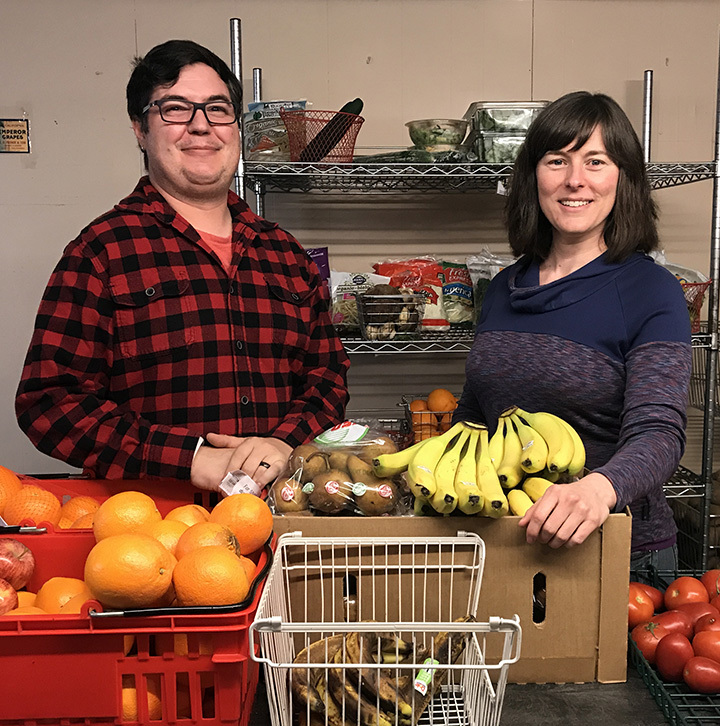 According to SACA Communications/Events Coordinator Paul Scoville, “We went from a system where a person or family could come in for food once a month to now once a week. It’s taken quite a bit of time, energy and effort to make the change,” he said, adding that the expansion of services coincides with SACA’s vision of wanting to provide people in need in the community with more access to food. SACA Executive Director Sarah DeSantis explained that SACA has also been working to purchase and acquire more fresh and frozen items like fruit, vegetables, cheese, milk, eggs and meat. SACA used to offer about an eight- to 10-day supply of food per household during a monthly visit. Now it can offer about a five-day supply of food each week, a sizable increase. “To gear up for this change, we modified the pantry layout to improve efficiency and make more space for fresh food. We also brought in some new volunteers to accommodate the addition of the new Thursday evening shift. Our community always steps up to help, for which we are ever grateful,” DeSantis said. As for donations, SACA can always use items like peanut butter, tuna, beans and other high-protein foods. Personal hygiene products are currently in short supply, as are baby supplies like diapers and wipes. SACA serves residents of the Silver Falls School District who meet federal income guidelines. In addition to the food pantry, SACA also provides financial assistance for items such as rent, utilities, transportation/fuel, and prescriptions. SACA’s updated hours of operation are: Monday, Tuesday, Thursday and Friday from 9 a.m. to 12 p.m. and Tuesday and Thursday evenings from 6 p.m. to 8 p.m. It is located in the Silverton Community Center, 421 S. Water St., Silverton. 503-873-3446.